Sweater weather is returning and I can't wait!!!! Fall is truly my favorite season because I get to pull out one of my favorite parts of my closet: sweaters! One of my favorite spots to shop for sweaters is actually H&M! They have great quality sweaters and you can't beat the prices. 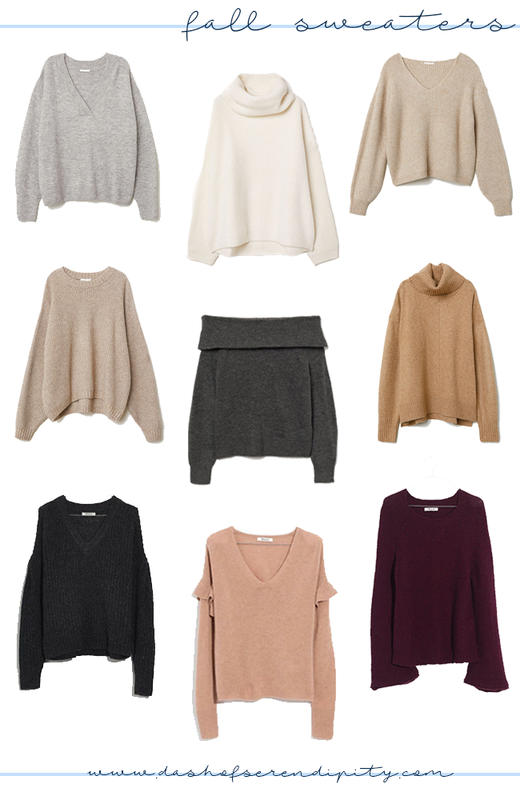 Most of the sweaters in this post are under $50 from H&M. My other favorite place to shop for Fall clothes, in general, is Madewell. Especially this year, I have loved everything Madewell has been releasing. One of my favorite sweaters from this post is the cream turtle neck. It looks so comfy and warm.